Sophisticated, stylish, formal – the Prospect Park Island Chandelier is just the thing for a modern dining room with its luxury feel and highly polished execution and presentation. Finished in two-tone Satin Nickel and Chrome. 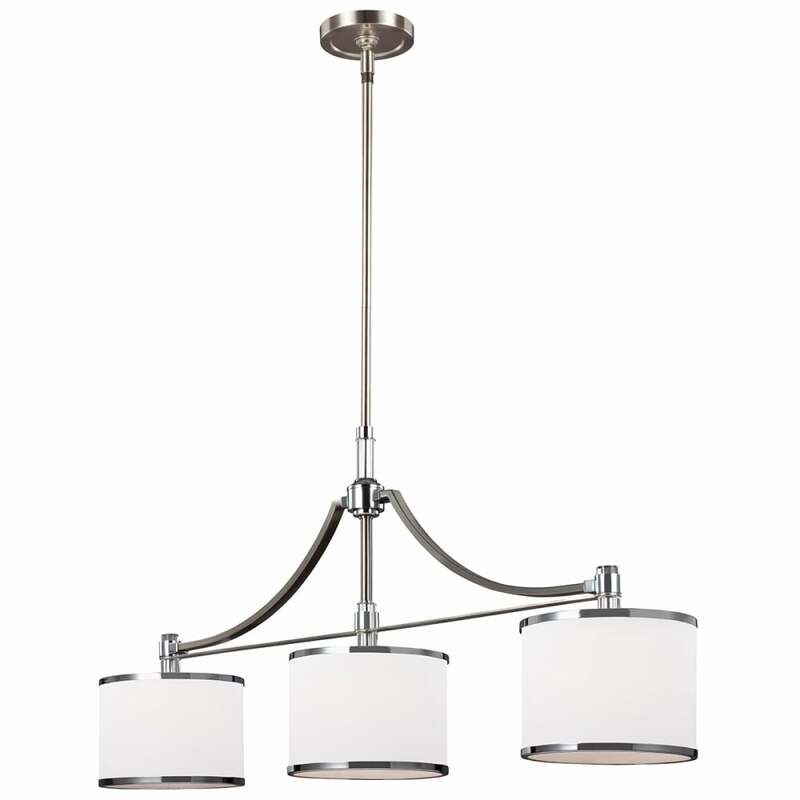 Matching items are available from the Prospect Park collection such as two other chandeliers, a ceiling pendant, semi-flush ceiling light and a wall light. - Supplied with 1 x 152mm and 4 x 305mm rods.